Do you know how to get an awesome testimonial? Not just any old testimonial, but one that helps convert visitors into sales? Awesome testimonies are short stories. The ideal Testimonial will tell the story of your customer. What their life was like before they found your product, why your product stood out, and the benefits they received. But getting testimonials like that doesn’t happen on accident. You have to overcome a few hurdles to get awesome testimonials. If you don’t ask for a testimonial, you probably won’t receive one unless you’re in an ecosystem that’s conducive to getting testimonials. Amazon and Yelp are good examples of environments that encourages testimonials (reviews, both good and bad). And although Yelp discourages businesses from asking for reviews, you will definitely get more reviews if you do ask. For your business you will have to ask to get testimonials. The good news is that most clients are more than willing to give you a testimonial, especially if they’re happy with your products and services. Pitfall #2- When is the best time to ask for a testimonial? If you’re like me, you forget to ask for testimonials and months go by. When you finally think of it you wonder if your client still remembers you. (Even if time has passed, you can still ask for testimonials from clients you have a good relationship with.) The old adage is often true, “The best time to plant a tree is 20 years ago, the second best time is now.” So just start asking for testimonials now and build it into your future projects as part of the project timeline. Instead of waiting months, try asking during the final stages of the project when things are wrapping up and they can see the end result. You can even ask for followup a few months later to see if you accomplished what you set out to do with the project. Pitfall #3- How should you ask for a testimonial? Most of us ask for testimonials with one question, “Can you write a testimony about our services?” That’s pretty vague and doesn’t focus your customers minds on anything specific. If you want powerful focused testimonials, ask a few questions to get them thinking. What problem were you trying to solve with our product? What was stopping you from using our product? What specific benefit or feature made you choose our product? Are there any other aspects of our product that influenced your decision? What specific way has our product helped overcome the problem you had? Would you recommend this product to others? Why? Overcoming these pitfalls and getting awesome testimonials is simple enough. But if you’re still not convinced, here are some of the benefits you’ll receive. Your testimonials will be detailed and specific. Rather than vague and unfocused. Your testimonials will tell a story. The problem they had, their initial hesitations, why they chose your product, how it’s helped them, and their recommendation. Even a negative testimonial can give you feedback to make your products and sales process better. By asking some of the questions we have listed, you will reveal some hesitations people had when purchasing your products. That kind of information is gold for your future marketing efforts. Consider when you have a testimonial that counters every major objection to purchasing a product? And when you get a testimony that overcomes a specific objection that a lot of buyers have, highlight it on the product page. 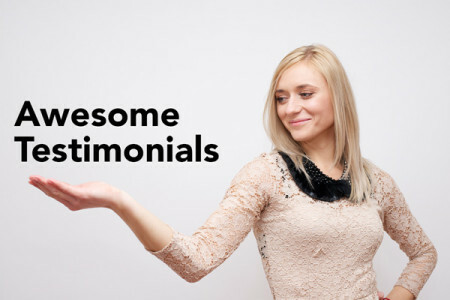 Those awesome testimonials will help you increase your sales and conversions! It’s been a while since we completed your XYZ project. But I was revisiting some of my past work and I was wondering if you would write me a testimonial about working with us. To make things simple for you here are seven questions that you can answer with just a sentence or two each. We really enjoyed working with you and appreciate your time. When you get a few testimonials, put them together and see what you can do with them. I recommend sprinkling them throughout your website (rather than all on one page) to overcome objections and increase conversions on all of those pages.